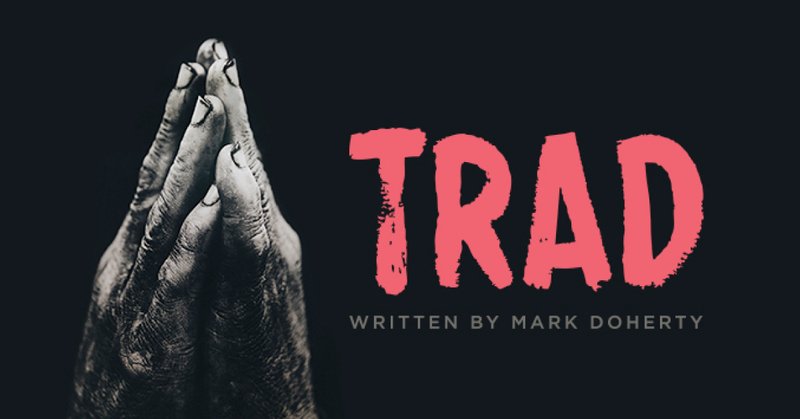 Livin’ Dred announces the long-awaited return of the award-winning play Trad by Mark Doherty which tours Ireland this Spring. Trad comes to The Mick Lally Theatre, Galway from 25th to 27th April. 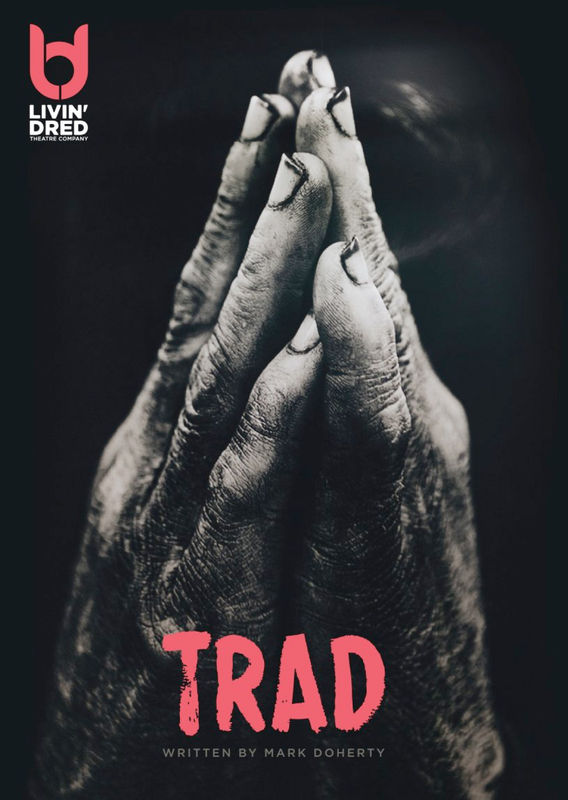 Trad is a highly authentic and original Irish comedy, slightly absurd and wickedly funny. It is the story of a 100-year-old man and his father who live in a remote rural Irish parish. Da (played by Emmet Kirwan) and Son (played by Seamus O’Rourke) are the last of their lineage, until they discover that Son has a 70-year old son. Together, Da and Son set out to discover the son they never knew he had. On their travels Da and Son encounter two other characters both played by Clare Barrett, Fr. Rice and Sal. Trad is heartbreakingly sad at times, but mostly hilarious. This heartwarming saga is accompanied by two live traditional Irish musicians who bring even more atmosphere to the play and stage. Livin’ Dred are also proud to announce that they have an all-female design team working on Trad. Livin’ Dred theatre company is based out of the Ramor Theatre in Virginia, in Co. Cavan. Aaron Monaghan, an award winning actor has recently taken over as Artistic Director and this will be his first production with the company, in a directing role. Mark Doherty, who wrote the play, had huge success at the Galway Arts Festival in 2004 and this is the first time since then the play has been produced. With this exciting tour and stellar cast, Livin’ Dred taking Trad is to a whole new audience and generation. Clare Barrett – Fr. Rice & Sal.